myArcadeConsole (Cabinet Edition) is a fully customizable "home made" desktop console complete with 8 "color monitors, with WiFi and Bluetooth wireless modules. 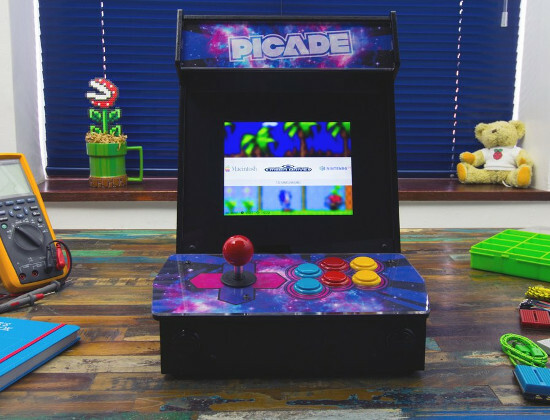 The cabinet edition is a Picade "Pimoroni" fully assembled by myArcadeConsole. 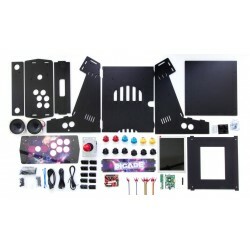 MyArcadeConsole (Cabinet Edition) is a fully customizable console complete with 8" LCD monitor. 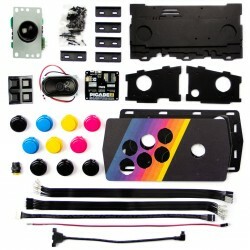 It is a "homemade" console crafted with the best components on the market today. 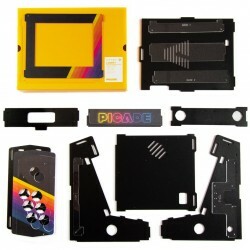 We use the PIMORONI Picade Kit, the best on the market: we fully assemble the Picade Kit, we add an USB extension, and we configure it to be switched on and play immediately. The heart of the system consists of two processors: a Raspberry PI 3 that deals with game processing, and an Arduino-compatible card, with built-in stereo amplifier, which manages the joystick, buttons, and audio. The joystick is an arcade model exactly identical to those used in old bar games, equipped with 12 fully programmable microswitch buttons. The console is a table game of arcade cabinets that were in the bar or game halls in the 80's: equipped with an 8" LCD monitor, just connect it to the power outlet and you can play it instantly wherever you are. The console is also equipped with a Bluetooth module (for connecting to external gamepads) and a WiFi module (for connection to the home network and then to the internet). Games ROMs should be downloaded via a network connection (via WiFi) or via a USB stick to fully customize your myArcade. The console comes with a user manual to easily search and download games.